Richard Addison, also known as Ric Addison, company first gained distinction & recognition with the opening of his Ava Lounge atop the Dream Hotel in 2002, starting the New York City "Rooftop Lounge" trend and which remains one of New York City’s hottest Hotel Nightlife destinations to-date. 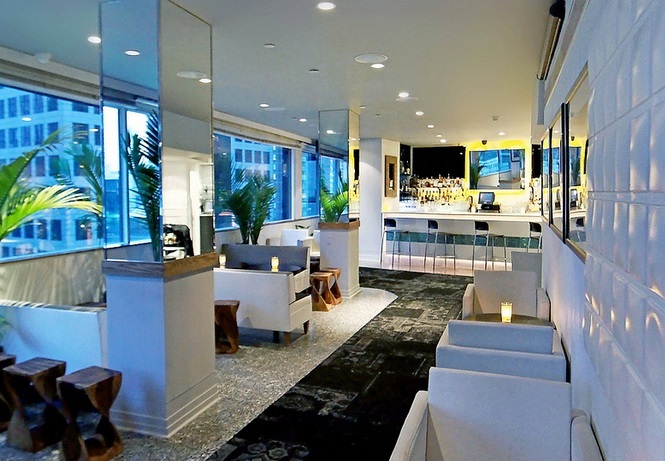 With the opening of Ava Lounge, the challenge, for Ric Addison was to bring a large number of guests -- daily and too a venue with no outside street signs and that additionally required an elevator ride up 15 floors above the city! Ric Addison met the challenge head-on and successfully garnered a front page lifestyle story covering Ava Lounge's opening in USA Today and The New York Times in addition to being honored as "Best After Work" Drink spot by New York Magazine's Best of New York helped put Ava on the map and the blue chip corporate clients and celebrities quickly made Ava one of the most sought after venues in New York City. Prior to Ava Lounge’s opening, Ric Addison has collaborated with many a Hotel & Nightlife legends. Most recently, Ric Addison added the low-key, chic Lounge & Restaurant THE BAR at the Dream Hotel and The Inc Lounge at The Time Hotel which has become a Broadway Celebrity hotspot that recently hosted Lady Gaga and Madonna in the VIP “Pool Room”. I went to work for Ian Schrager at the age of 20 at Paramount Hotel in NYC. Hospitality was a calling as I truly & genuinely like meeting people. Tell us about Addison Hospitality. What inspired the idea and what is your vision for the company? The concept is to create sophisticated yet relaxed venues for hotels around the world. What strategic partnerships/marketing strategies have you implemented that have attributed to Addison Hospitality's success? We engage in many marketing partnerships over the course of the year but I think the most successful ones are with media outlets that host events. We are seeing that more and more social media influences people on where to go out at night. There are so many choices in a city like NYC and people rely on social media to edit down the list of places to visit. Your greatest success as founder/CEO of Addison Hospitality? The transition from Management to Ownership. When you are 100% responsible for 100% of everything it's easy to feel weighted down and the pressure of so many relying on you. To overcome it I had to work harder and I learned that sometimes you have to ask for a little help from your team. Describe the ideal experience at your venues. How important are architecture/design to the success of your venues? What’s next for Addison Hospitality? We are actively looking in Miami & Charleston for a new venue.